The full download on the first day. Since Thursday afternoon, set up has been underway at the Northeast Regionals, with tents being constructed and equipment being organized abound. 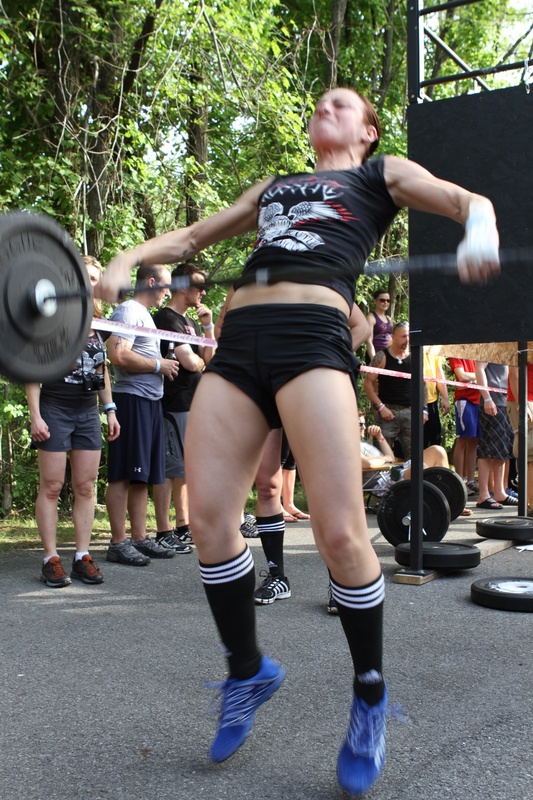 You could already feel the electricity in the air, as the elite CrossFitters of the Northeast prepared to do battle in Albany, New York. Friday morning volunteers went to work preparing the stations for the workouts. The event looks to be a great success, after the New England and NY/NJ Sectionals proved to be a formidable challenge to the individual competitors, and surely they are up to the task of putting on an exciting show for the masses of spectators on hand. Also, this is the first qualifying level for the Master's Division as well as the Affiliate Teams, providing a little taste of all CrossFit has to offer. Who says you can't be fit over 50?! 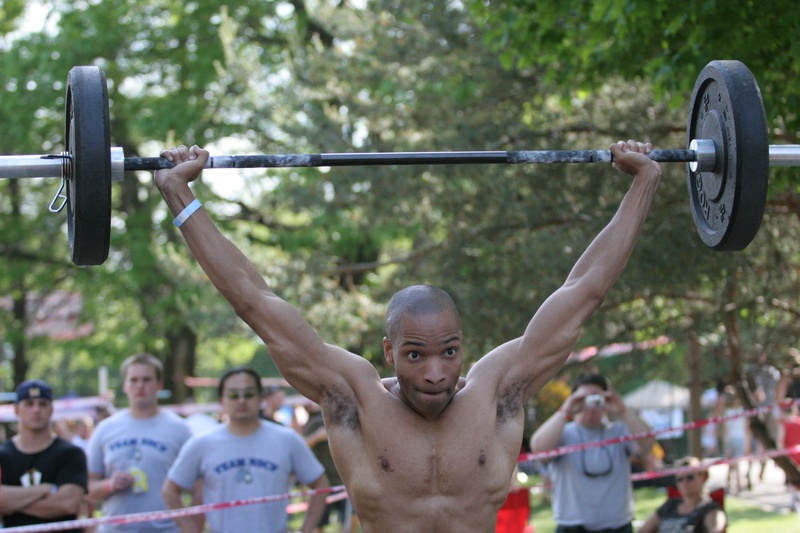 CrossFitters surely don't believe so, as we saw 18 competitors take on a "Helenesque" workout (3 Rounds for time of: 50 Double-unders, 21 Kettlebell Swings, 12 Pull-ups). A couple hometown heroes took on the challenge, Mark Marozzi and Dona Wildove, drawing droves of cheers and applause from the crowd. Despite performing a scaled version of the workout, Dona turned in an exciting effort, demonstrating that CrossFit is for everyone. Steve Lobotsky from Hudson Valley CrossFit took the Men's Heat, with an impressive time of 7:42. The workout proved exceptionally challenging. 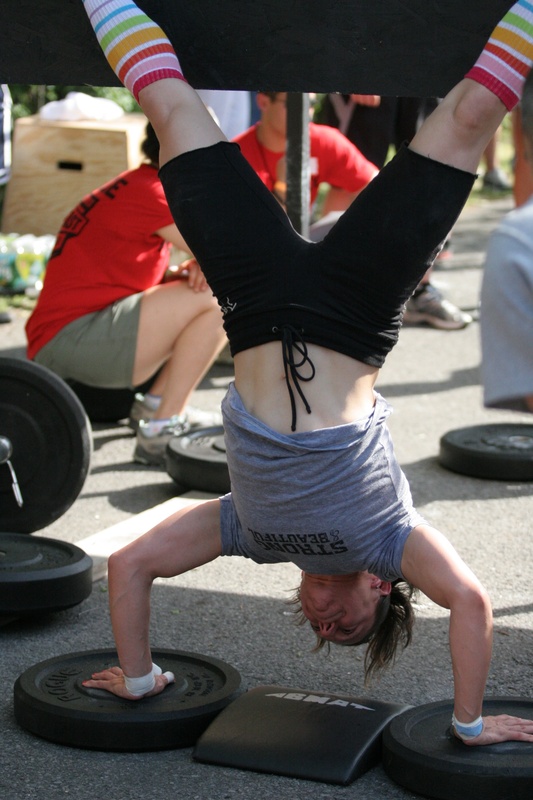 Kelly Carse was the only woman to finish with just seconds to spare, accomplishing her final pull-up at 14:38. 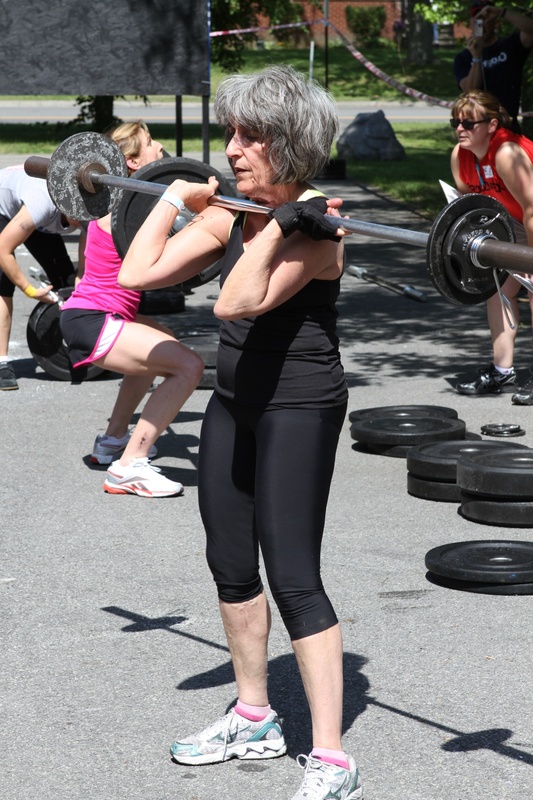 After a short rest from the first workout, our super-fit 50-something's went heavy with 1 Rep Max Thrusters. 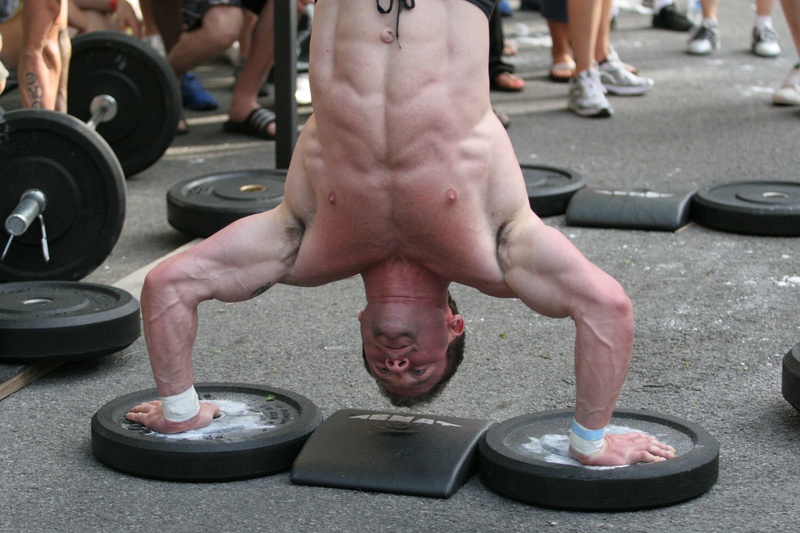 Athletes had 10 minutes to get as many attempts at a max weight thruster. They could squat clean the weight and go right from there, or perform a power clean before completing the rest of the thruster. 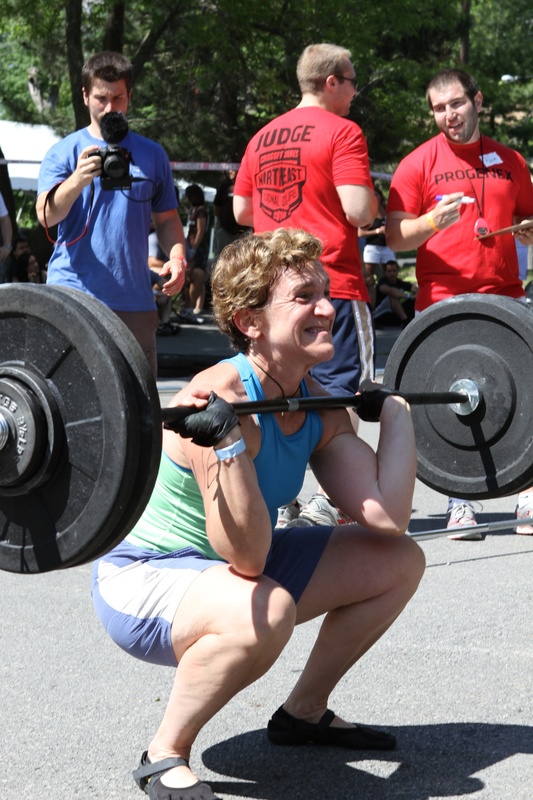 These athletes definitely took the opportunity to flex some muscle, as several of the men hit 195 pounds, and the top performance from the women was turned in by Marcy Rose with 118 pounds, an impressive showing for any age. That's all for today from the Master's, we'll see them again tomorrow for a showdown with "Cindy." After the Master's events, we turned our attention to the Affiliate teams. With teams vying for the top six spots to move on to California, athletes were eager to demonstrate their collective skills and continuity. Up first a 12 minute AMRAP, where men and women each had to complete 40 snatches, at 115 pounds and 85 pounds respectively. 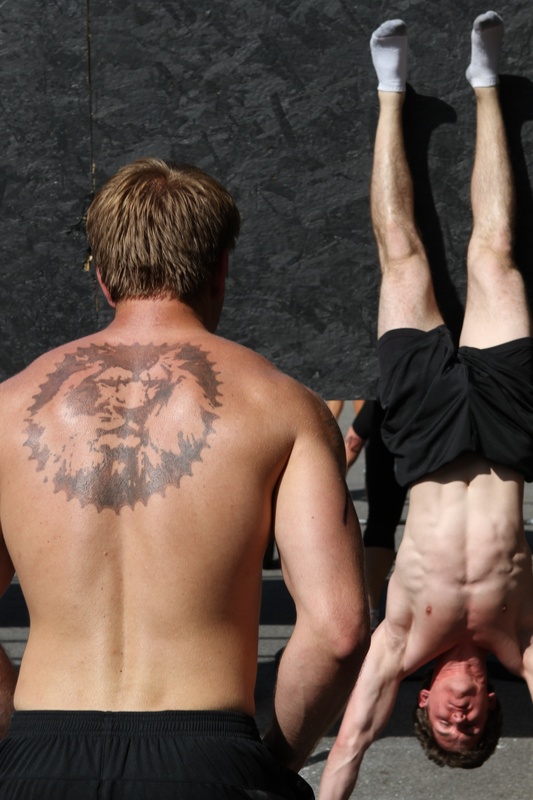 Once both the men and women finished the snatches, they had the remaining time to perform as many handstand push-ups as possible, one person moving at a time, total reps being the score for the workout. You can be sure that the shoulders took a beating on this one. CrossFit New England absolutely crushed it, putting up an eye-popping score over 223. 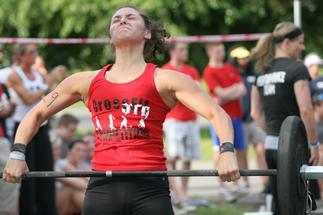 The next closest score tallied was 209 by CrossFit Performance. Guerrilla Fitness rounded out the top 3 as they hit a solid 146. The crowd was uplifting and supportive, giving it up for their favorites athletes. Based on today's performances, the Affiliate Competition is shaping up to be closely contested amongst the best teams the Northeast has to offer. Saturday looks to be even more exciting as we add the individual competitors to the mix. First up tomorrow, the Master's Division hits their final workout of the weekend. As for now, Northeast Regionals is looking to be an early success. Stay tuned for more updates throughout the weekend. We are sure to see some brilliant performances by all athletes. Steve Lobotsky put up a 7:25 in the double under Helen !!! Fastest masters time by 26 seconds!! 22 May 2010 / 5:48 a.m. Wow!!! This is amazing... Wishing you all the best.... LETS GO GUERRILLA FITNESS!!! We're all here rooting for you!!!! 22 May 2010 / 6:44 a.m.
Kelly Carse! I was very pleased but not at all surprised to hear about your performance. Keep it up! 22 May 2010 / 12:10 p.m.
Kay Kay, (Kelly Carse), you are awesome! Cant wait to see you tear it up in LA. 05 July 2010 / 8:59 a.m.